Well, There are times when I just want to throw out a silk scarf with a stain on it or give it away. The task of cleaning it seems time-consuming. But it really doesn’t take that long and it saves me money. Time and money saving are important to all of us. When I go on a treasure hunt, I have found some really wonderful ties; silk ties but they may have a stain on them. And it’s usually right where food landed while eating! So in this Sunday’s segment of Vintage North’s Blog, I will cover taking care of your silk, mostly ties and scarves. Because unless you know fabrics and their idiosyncrasies it may be better just to send the larger items such as Dresses, Suits and Shirts to the dry cleaner. Knowing how to take care of silk is part of being a conscientious caretaker and owner of fine garments. This will give the clothing longevity and a higher re-sale value when wanting to part with something, since the Condition of a vintage item plays a very important role to a collector. First of all there are many different kinds of silk. For instance, there is Douppioni, Chiffon, Crepe de Chine, Jacquard, Shantung, Noil, Ect. They have different textures; variations in fineness, variations in thread count, which means the weave is loose or very tight. Silk threads many be satin looking and feel very soft. They have different qualities from fine to coarse to translucent. Fill your sink or bathtub with cool water and mild laundry detergent, such as Woolite or even try a baby shampoo in lukewarm water. Let your silk item soak for a few minutes. Do not rub or scrub the fabric. Rinse the silk tie/scarf with 1/4 cup of vinegar diluted in 1 gallon of water. This will help to restore the shine of the silk. Rinse with plain water until vinegar odor is gone and detergent is completely rinsed out. Place silk item between two clean dry towels and press down gently to remove excess water. You can use the floor if you do not have counter space. Do not wring out silk. Hang silk item on a padded hanger or drape over a mesh drying rack. Do not use a wood rack because wood varnish may transfer to the wet silk and ruin your clothing item. Iron your silk clothing using an iron on the lowest setting, I like to use a cotton gauze or light cotton color fast (so dye doesn’t transfer and ruin silk fabric) piece of cloth between the iron and the silk clothing. Slubbed fabrics and crepes and most wild Silks should be pressed when dry and others when slightly (and evenly) damp. Finish off lightly on the right side. 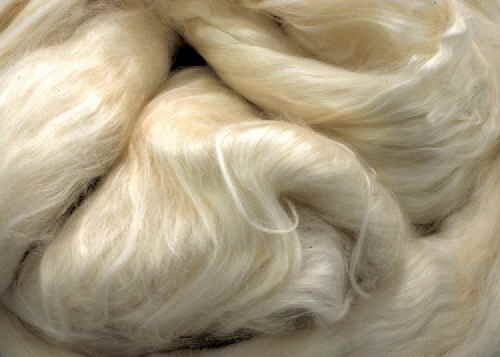 When pressing Silk with a rib or slub, use a pressing cloth, otherwise the Silk may become fluffy. Do not press with steam or re-damp the Silk locally, as water staining may occur. If the Silk water-stains, then dip the garment in warm water for 2-3 minutes, dry and re-iron. Place items not used regularly in garment bags or in the case of a small item such as a scarf or tie, I used reseal-able zip lock bags, like the freezer bags or large sandwich bags. Don’t wash Silk goods if the colours are not fast. .
Do Test Before washing for colourfastness. Wet a small piece of the fabric in cool water and then lay it on a piece of white material. Press it with a warm iron. If it leaves no colour or hardly any mark on the white fabric, then you can safely wash it. Don’t ever soak, boil, bleach or wring Silk or leave it crumpled in a towel. Do not let Silk become too dirty before washing, as hard rubbing damages the fibers. 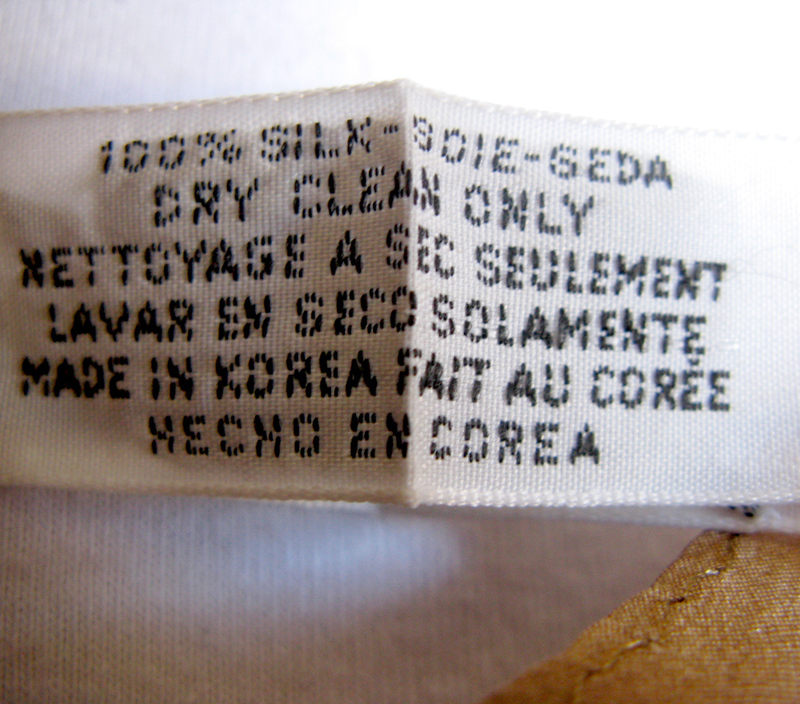 Do Wash items labeled “Washable Silk” such as silk underwear in the washing machine on the gentle cycle in a mesh bag. Hang dry on a padded hanger or on a mesh drying rack. Do not wash or dry clean silk that has heavy beading on it. Many evening dresses fall into this category. Read the directions on the label. Most will tell you to spot clean with warm water and a mild soap mixture. Then, just air the dress out. Never dry silk in the dryer. You will ruin the fabric. Removing stains: Treat stains immediately. Rub a little mild detergent on stain, let sit, then rinse in cool water. For lipstick stains, Use a denatured alcohol, dab with a soft white cloth, rub gently with a mild dishwashing detergent or the detergents listed above in Simple Cleaning, wash as indicated above. Snags, Tears, And Holes: Gently tug the fabric on all sides of the snag. This will help make the loop smaller and will work it back into the silk. Flatten the loop against the fabric as you are tugging it to help move the loop into the fabric. This process will generally work very quickly if you just recently snagged the silk. Poke a snag repair needle or a fine sewing needle through the back of the fabric. Get as close to the snag as possible. And pull through to the back of the fabric to hide the snag. Lightly rub the pinhole with your finger. Move with the grain of the fabric (either side to side or up and down) and gently move the fabric threads to cover the small pinhole. Place an iron as close to the fabric as possible without touching it. Press the steam button. Press your finger over the pinhole to set the fabric in place. Repeat three to five times. Spray the area with a small amount of water if the threads are not staying in place from the steam. Press the pinhole between two fingers until the water is dry. Repeat if neccessary. Unfortunately, if there are large tag holes or tears these cannot be repaired and the fabric may ruined. Or you may use it for crafts!!! Sometimes you just never know what you have in your possession till you decide to research it. I bought a scarf because of the colors. It was bold, bright and geometric. It was signed “Usna” or so I thought. So when I tried to find any scarves marked “Usna”, I did not find very much, but whenever I did do a search, a name that kept popping up was “Vera” and/or Vera Neumann. I wondered why, but looking further into it and comparing the signatures I found the maker of this “Usna” scarf. I believe there are others making this same error. Now that I found who made this wonderful scarf, I discovered how collectible her scarves are. Especially those signed with her name and the ladybug beside it. She is an American Designer of screen printed fabrics, which are used in scarves, clothing, home décor, Ect. Made from modern fabrications such as acetate, polyester and silk. Vera was born in Stamford, Connecticut on July 24, 1907. Her parents were Fanny and Meyer Salaff , who encouraged and supported her artistic pursuits. She used to frequently visit the Metropolitan Museum in New York City on Sundays. 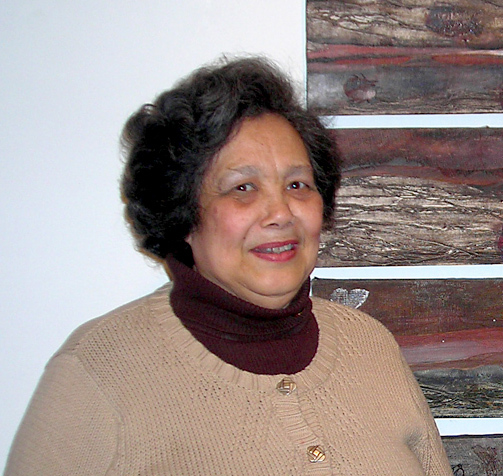 When she finished high school, Vera attended the Cooper Union Art school, then attended classes at the Traphagen School of Design. Her first step toward securing her future as a giant in art and design came when she got a job as a fashion illustrator and textile designer in New York City. 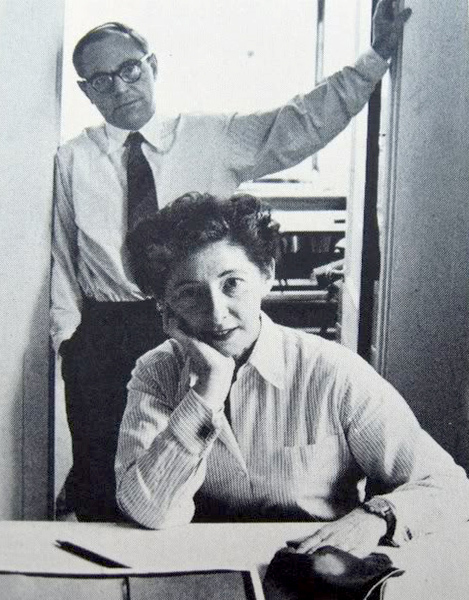 Vera met and married Austrian George Neumann whose family background was in textiles.The two moved into a small studio on 17th street where they decided to merge their career backgrounds and began their company, Printex. They built a small silkscreen printing press to fit on their dining room table, which was only large enough to produce linen place-mats. These were then cured in their kitchen oven. Their friend Frederick Werner Hamm, a recent German immigrant who also had a background in textiles, joined the pair in their creative endeavors. Hamm used his sales skills to secure their first order from the department store B. Altman (this is a common factor, I found in those creative types, who have become successful, having a friend or colleague, who can sell ). They each risked $1,000 in 1946 to start a business. The company outgrew the apartment and moved into a larger one, when that became too small, they moved into a large derelict 1810 Georgian Mansion near the Hudson River in Ossining, NY. During War Time, Vera found linen supplies in short supply. She went in search of alternative materials for her products and found some parachute silk at an army surplus store. This marked the beginning of her scarf business. 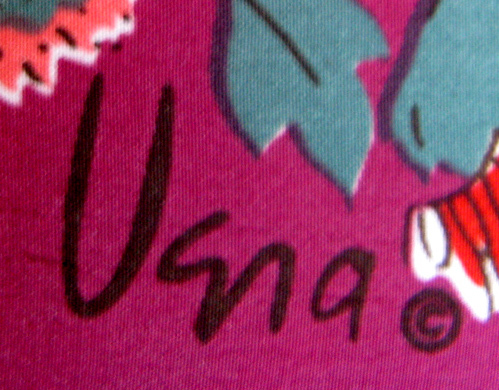 The signature she used on her art work she used on her scarves. Thus creating the first signature scarf in history. “Vera scarves” became very popular in the 1940s. Her scarves were coveted by women around the country including Marilyn Monroe and Grace Kelly. Even Bess Truman, The first Lady, selected Vera fabric from Schumacher, Inc. to decorate the third-floor solarium windows and upholstery of the White House. Her designs typically began as paintings. Her motifs consisted of flowers, leaves, ferns, grass, vegetables, the sun and ladybugs. The scarves were colorful and designed well. She added a ladybug to her signature because she said, “A ladybug means good luck in every language”. This began sometime in the 1960s. Vera’s style could be realistic or abstract. Her penchant for purity could mean a scarf or place mat printed in one color at a time when other designers might have used a dozen colors. She also used a sumi-like brushwork and sophisticated color schemes aided in the success of her global appeal. “If you have too many colors,” she explained, “you could easily get tied down to just one color scheme that can’t be changed.” A shy, private person, she did not like to make speeches. “Color is the language I speak best,” she said. Vera Paints a Persia Garden- Inspiration can come from Anywhere!!!! The scarves were actually printed in Japan. Vera left nothing to chance, making a sample of each scarf in the New York factory, and sending it along with the dye formulas to the factory in Japan. In the 1960s, she added a clothing line. Blouses and dresses were made from the Vera textile designs. These garments are quite interesting, as the fabric was engineered and designed with the idea of the finished garment in mind. Where pattern was seam matched meaning a large black diamond on White background continued from arm to bodice. The Company expanded and remained progressive. Equipment was state of the art, till the studios became one of the best equipped in the nation. Patterns, Colors and production were perfected and the executed. Vera’s husband died in 1962. The Death of her husband, George and the demand of the business lead Vera to sell it to Manhattan Industries in 1967.Both Vera and Werner Hamm became board members and Vera stayed on as creative director. The company expanded into sportswear, eventually hiring up and comer Perry Ellis in 1974 to oversee that division, as well as luggage. He asked if he could submit designs for the clothing lines, and Vera encouraged him to do so. She liked his work, and he became a designer for Vera. In 1976 he was given his own division, Portfolio by Perry Ellis for Vera, which he designed for three years before starting his own company. 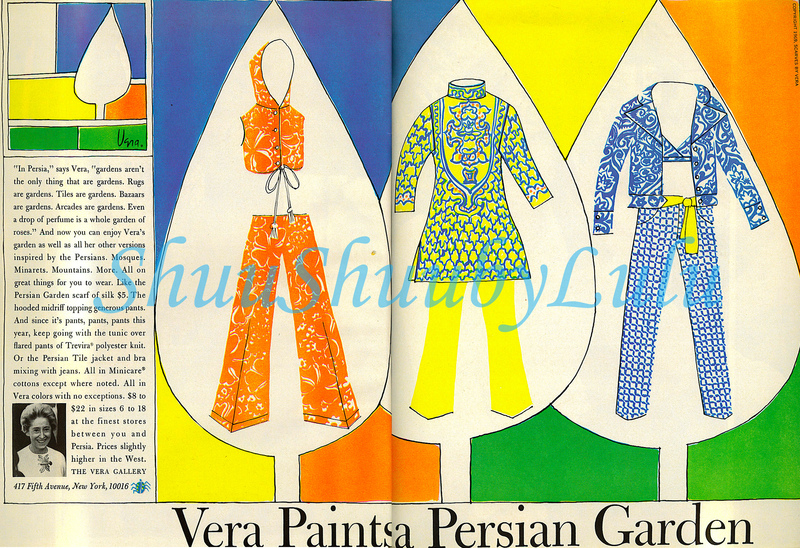 By 1977, Vera designs were sold in more than 1,200 stores, with sales of more than $100 million. The success of her company was due to those who worked with her, embraced her design philosophy and aesthetic. It is Zen-like and centers in Nature. Neumann’s company “Vera Licensing” was purchased by Salant Corporation in 1988. She remained head designer, but Printex was closed later that year. She painted until the last months of her life and died of a cardiac arrest at Phelps Memorial Hospital in North Tarrytown, NY on June 15, 1993. The cause was cardiac arrest after surgery. She was 84 years old. After her death, she continued to receive acclaim from museums and exhibits around the country. In 1999, Vera Licensing was sold to The Tog Shop, a catalog company which had licensed sportswear from Vera Licensing. The Tog Shop was put up for sale in 2005 and Susan Seid, then the VP of Merchandising of The Tog Shop, bought “The Vera Company”. “Part of my mission and commitment is to continue to tell the story of Vera the artist,” said Susan Seid, president and chief executive officer of The Vera Company. The firm’s current name, of which she remains the owner. The Vera Company currently holds eight licenses for its products. 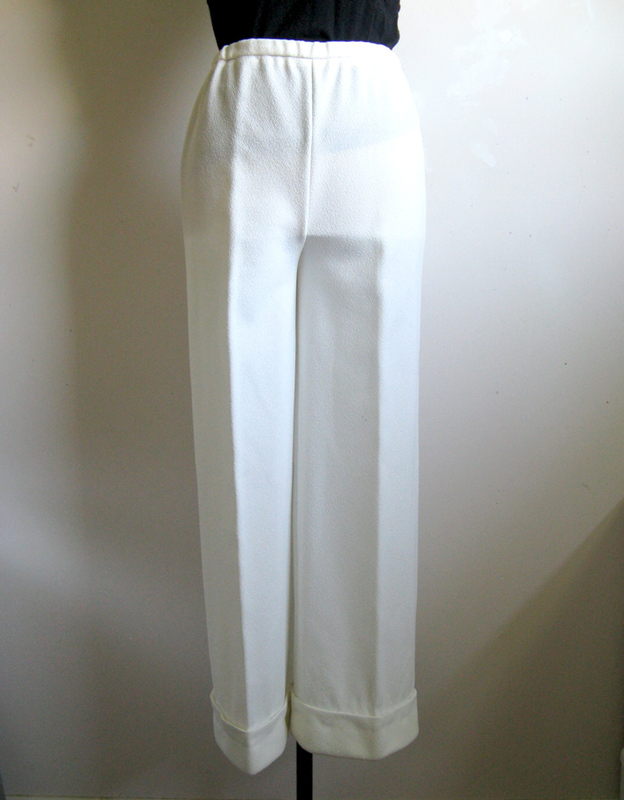 Earlier pieces from the mid 1960s will often have 100% Cotton, or 100% Silk on the label. Parachute fabric was made of silk early scarves would be made of this material. Also, the earlier pieces have the ladybug logo, and Vera printed on it, usually in the lower left corner, but this is not always the case, as I have seen some in the middle square of a design in a corner. 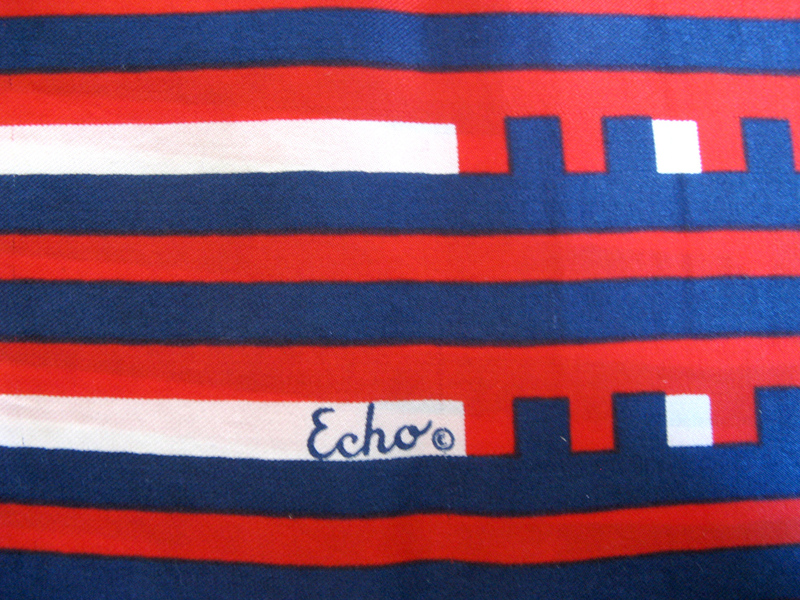 In the later 1960’s, scarves may be made with Acetate or Polyester. Clothing from the late 1970s and into the 1980s, the fabric is an over-all design and there is usually no logo on the outside of the clothing. However, look carefully and you might find a small Vera signature somewhere in the print. Also, starting in the mid 1970s, the clothing was more often made from a synthetic fiber knit such as nylon. Vera scarves are fairly easy to place a rough date on, as there were some pretty obvious changes in her signature through the years. Just be aware that are exceptions. I have seen the ladybug symbol on scarves as late as 1975. 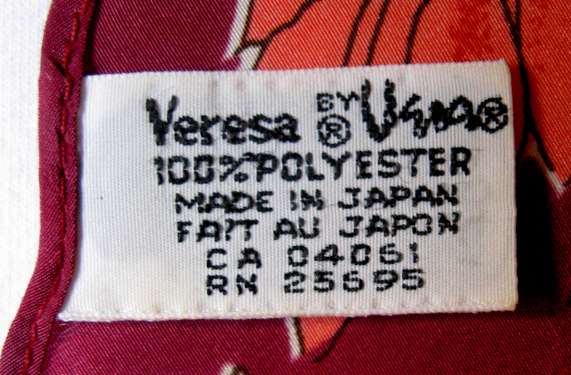 1947 – mid 50s: The earliest scarves were signed vera in a very small print. All the letters were lower case. Early 60s: The ladybug symbol and © copyright symbol (registered 1959) were added to the Vera. The signature and the bug were about the same size. Mid to late 60s: The ladybug was used less and less, and the signature got larger. The ladybug became much smaller than signature. Early 70s: The Vera signature continued to get larger and bolder. Usually no ladybug. Mid 70s: Bug sometimes present, but disappears totally after 1976. Late 70s: Signature started to slightly shrink. 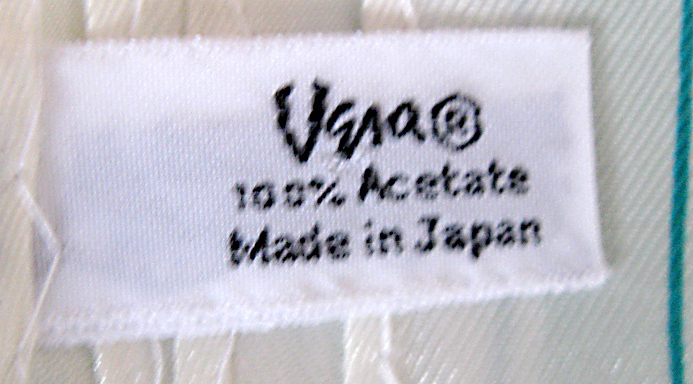 1990’s –2000: Clothing has Vera Label with a separate ladybug label. Perhaps, as a collector or a wanna-be collector of Vera scarves or clothing or home décor, you would like a place to start. Well I think when collecting anything, you need to find something you can still enjoy or you like looking at. Vera Neumann’s designs can be viewed a small pieces of art. There may be a certain motif that catches your eye and you find very appealing. Maybe it’s a lilac paisley, maybe it is a bright, flamboyant flower or even a vibrant color like Red. There are many different designs to suit any palate. Scarves come in different cuts such as Square, oblong with asymmetrical hemlines, rectangular, or with a split. They can be worn so many ways as well. (I will have a section on scarf tying later). If you would like to collect clothes, some things to look for are: Blouses, Tunics, dresses and lounging pajamas to name a few, where patterns seem continuous, all over patterns. When looking at Vera patterns on clothing, patterns match up, much like wallpaper on a wall. Designs can be just as bold as in her scarves from geometric to abstract to floral. Again start small if you are nor sure where to start. You can find examples of Vera in all kinds of Price ranges. You may find a scarf for under $10.00USD or a Blouse for $25.00USD on different sites on the Internet. But then there are prices that are as high as $80.00USD for a scarf. Anthropologie carries brand new Vera scarves as well.